It’s well known that Omega loves an anniversary, but the one that I’m currently celebrating with them in Bienne is quite significant. 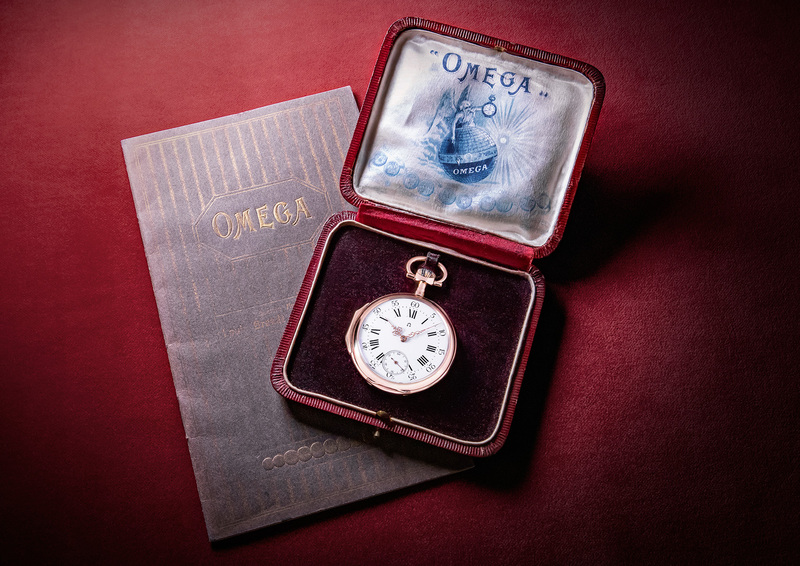 This year marks 125 years since the Calibre Omega — a 19-ligne movement that was so significant that, a few years after its debut in 1894, the company changed its name to the Omega Watch Company in 1903, and the rest, as they say, is history. 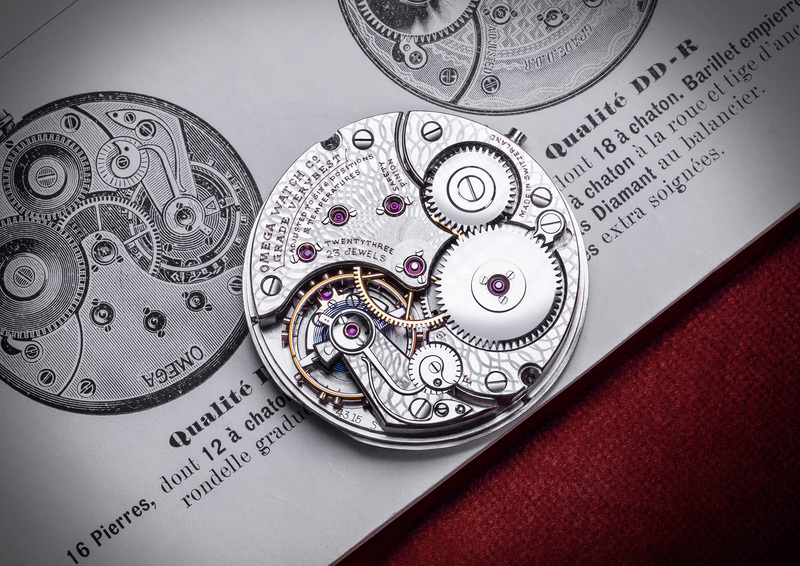 But what made the Calibre so significant that it earned the declarative moniker of Omega — the last letter of the Greek alphabet — and the ‘ultimate’ achievement in watchmaking? Well, this calibre matters because it was innovative — it was awarded a patent for setting and winding via the crown, but more than that it mattered because it was the first serially produced movement, a movement that was not only produced using an industrial production line method, but it also meant that parts were produced very precisely, and thus interchangeable or replaceable. We might take it for granted now, but whenever you drop your watch in for a routine service, you owe a small debt to the Omega Calibre. To celebrate this achievement, Omega has released two very special watches. The first is a very special, very limited half-hunter pocket watch with the crown at three. These 19 watches are made using original 19-ligne movement components. The bridges, mainplates, escapements and balance spring are original but paired with some more contemporary elements, like the mainspring and barrel, screws and chatons. Like last year’s 18 CHRO watch, this is a very special piece, and one that represents a ‘living’ bridge between Omega’s past and future. Less limited, but no less special is the stunning new Omega De Ville Trésor 125th Anniversary Special Edition, a truly elegant 40mm 18k yellow gold watch with a gorgeous red enamel dial — the first time Omega has used this sort of dial. 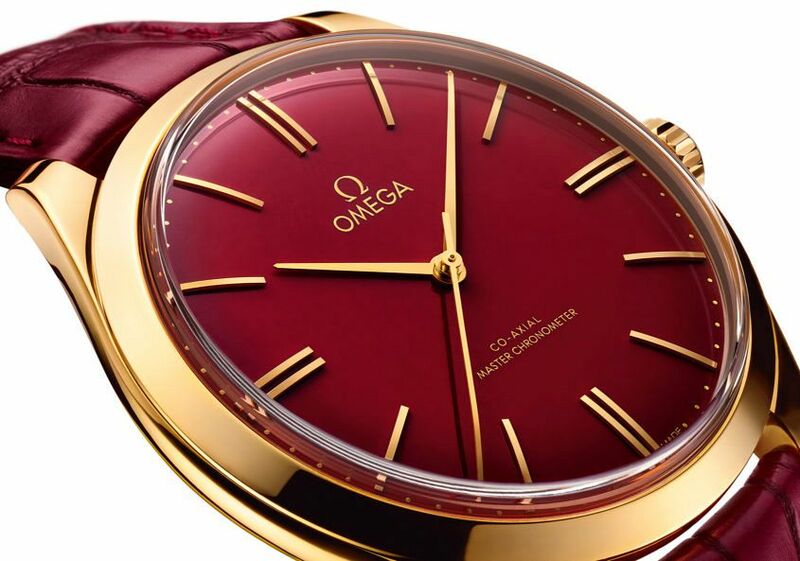 The deep bordeaux colour, paired with the gold and simple stick hours and hands is very fine indeed, with just the right degree of dandy-ish appeal (as you can see from Omega’s promotional material starring Eddie Redmayne). 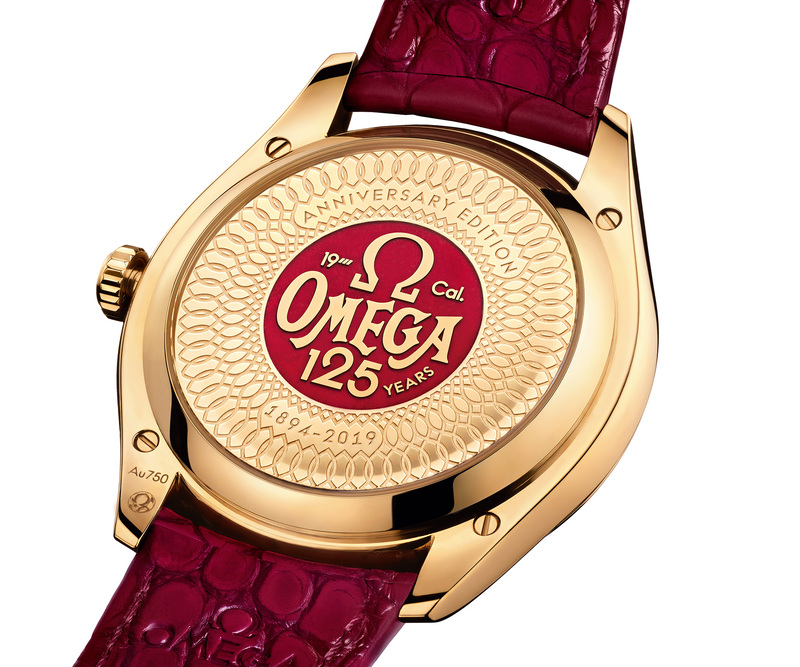 The caseback is equally as impressive, with a commemorative 125 years medallion in the centre of the solid caseback, filled with red enamel, and in the historic Omega font. 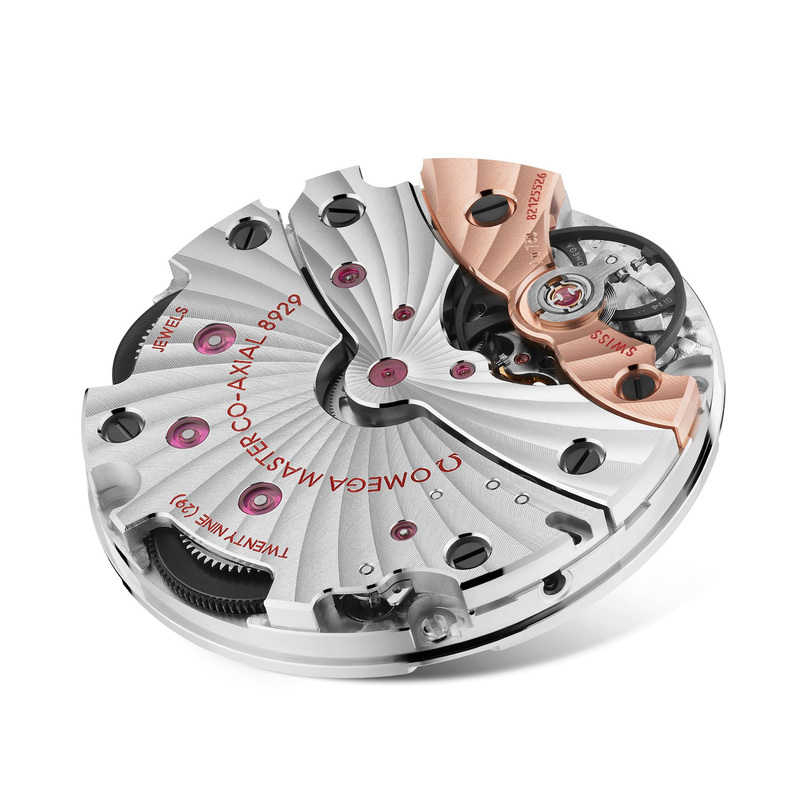 Inside the watch beats the brand new Master Chronometer Calibre 8929. A tribute to the original 19-ligne calibre, this is the first Master Chronometer certified manually wound calibre. Like the wine that inspired the colour choice, this Trésor is rich, full-bodied and incredibly elegant.